Nationally, housing accounted for 15.31% of the real GDP in the second quarter of 2015, with home building and remodeling (residential fixed investment) contributing to 3.21 percentage points of that total. It is also worthwhile to know the importance of the construction sector to local economies. The Bureau of Economic Analysis provides the geographic distribution of economic output due to construction sector, which includes both residential and nonresidential construction. Based on the most recent 2014 BEA data and NAHB estimates, construction made up 3.77% of economic output in 2014 as the housing market gradually recovers from the Great Recession, coupled with a steady increase in construction spending. In 2014, the state with the highest construction share of gross state product was North Dakota, where construction contributed to 5.87% of gross state product. Louisiana ranked as the second highest (5.61%), followed by Hawaii (5.50%), Montana (5.37%), and Utah (5.17%). 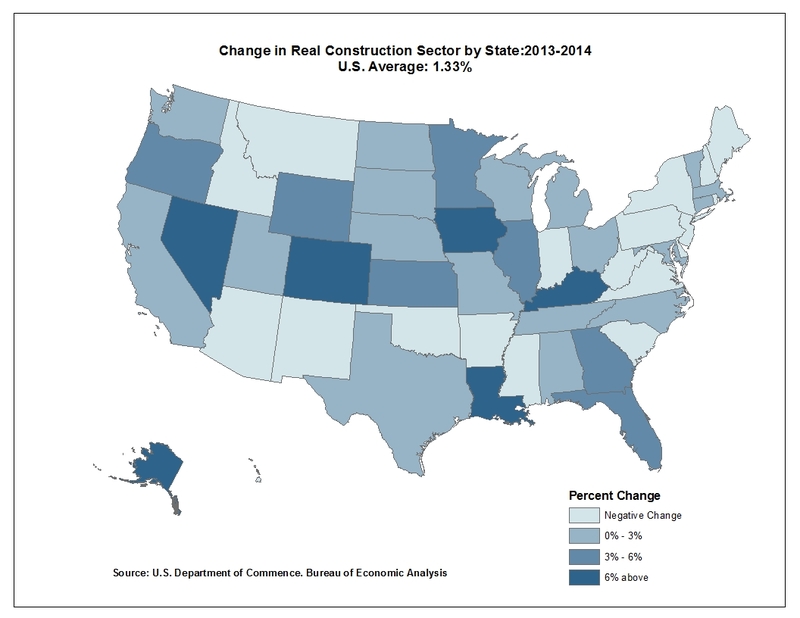 The BEA data also highlights the state-by-state changes in the construction share of gross state output from 2013 to 2014. 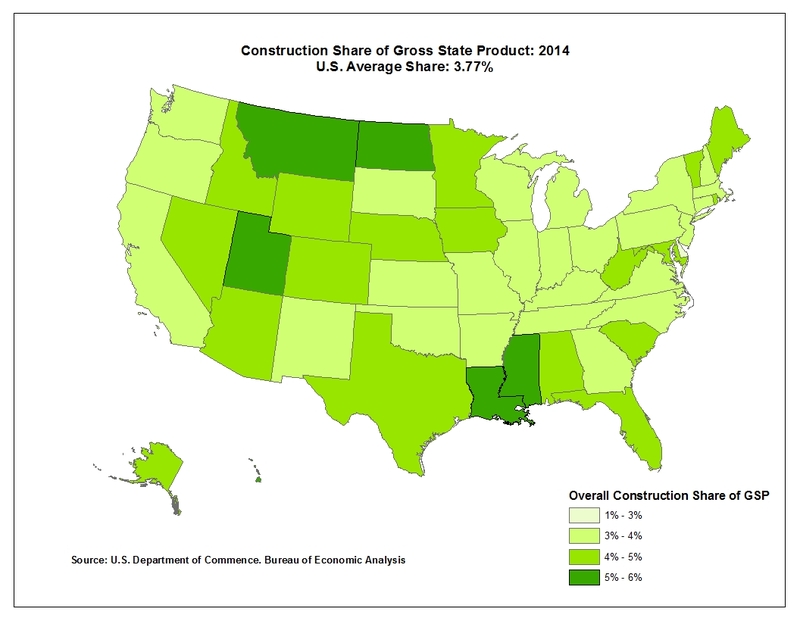 States with the largest gains in year-over-year share of construction in gross state output, in percentage terms, were Iowa (10.06% growth in share), Alaska (8.58%), Louisiana (7.11%), Nevada (6.75%), and Colorado (6.55%). State economic growth, including that for construction, has been driven by energy sector growth in recent years.